On Saturday, March 10th, ETA Matt Poissant went to Jepara for the afternoon with the winners of MAN Demak’s WORDS competition as well as a bundle of teachers from the school. They were all invited to the house of Bapak Kepala Sekolah Suprapto, the headmaster, to celebrate the winners of the WORDS competition. When they arrived they all ate some snacks prepared by Bapak Suprapto’s wife and then had some rambutan (fruit) straight off a tree on their property. After relaxing at the house they all went to the beach to relax some more and also eat a buffet of amazing seafood. 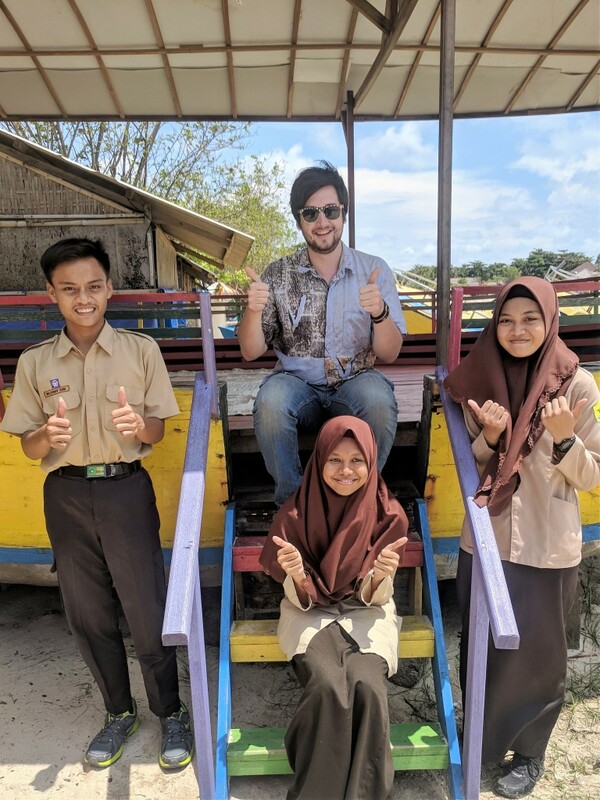 Matt was able to chat with some of his students about the different fruits and vegetables they grew in America as well as their favorite fruits from Indonesia. Then, after all of the seafood was devoured everyone took some photos and Matt was able to request one with the three winners from the competition. After the photo session everyone packed back into the school vans and headed back to Demak.